Japan may soon echo U.S. and Australian restrictions on the Chinese telecom equipment maker and peer ZTE. That should help South Korea’s $280 bln titan make a move in the markets. Nokia and Ericsson will challenge for share, too, but Samsung’s heft and stamina give it an edge. 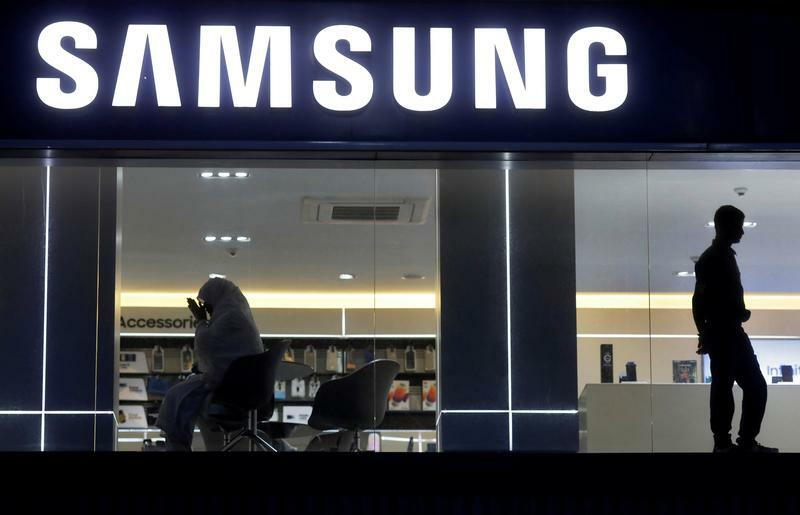 A customer prays inside a Samsung showroom in New Delhi, India, July 27, 2018. Japan’s cybersecurity authorities are studying whether to impose tighter regulations on imported telecommunications equipment, including from China, the Wall Street Journal reported on Aug. 30. The Australian government said on Aug. 23 it had banned Chinese companies Huawei Technologies and ZTE, without identifying them by name, from providing gear for the country’s planned 5G network because of securities concerns. Authorities cited vendors “likely to be subject to extrajudicial directions from a foreign government that conflict with Australian law.” Huawei confirmed the action on Twitter and said rival ZTE also had been banned. ZTE said on Aug. 30 that it expects to generate a profit in the third quarter after recording its worst first-half net loss because of U.S. regulatory action against it that included $1.4 billion in penalties. Samsung Electronics surpassed China's ZTE in the first half of 2018 to rank fourth in the global market for mobile network equipment, research firm Dell'Oro said on Aug. 20. On Aug. 28, chipmaker Globalfoundries said it was dropping out of the race to develop next-generation 7 nanometer technology, leaving Taiwan Semiconductor Manufacturing and Samsung as the dominant competitors for the market.